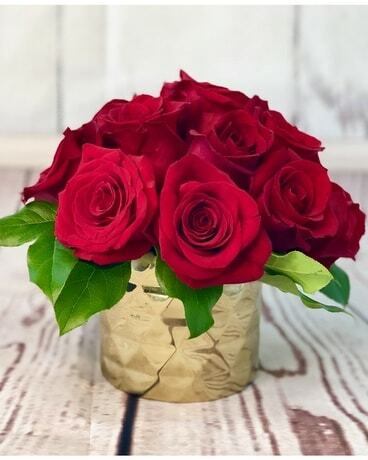 A modern take on a dozen red roses, for the trendy, rose-loving person in your life. 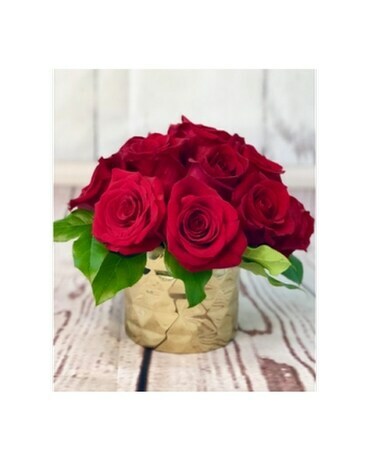 This compact arrangement of a dozen roses in a gold metallic vase will please anyone! The collar of beautiful local salal leaves adds the finishing touch to make sure this gem makes an impression!